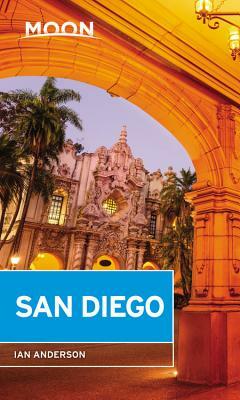 With Moon San Diego's practical tips and local know-how, you can experience the best of the city. Can't enough of the Golden State? Try Moon California. Hitting the road? Try Moon Pacific Coast Highway Road Trip. After earning a writing degree from Pomona College, Ian continued to explore the world, yet those San Diego beaches keep luring him home, never judging him for dalliances in Hawaiian, Costa Rican, or European waters. Ian covers "America's Finest City" as a reporter and restaurant critic for the San Diego Reader. He contributes to national publications (usually writing about beer, music, and travel) has ghost-written a number of books, and even delved into the ecological sciences to co-author An Eco-Friendly Online Shopping Guide. For the most part, Ian's expertise matches his interests-chief among them exploring San Diego's sights, sounds, and flavors-and bringing these experiences to life for readers.